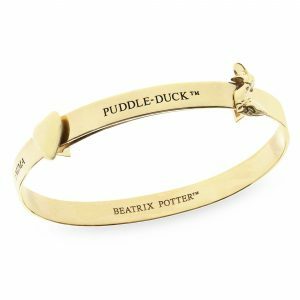 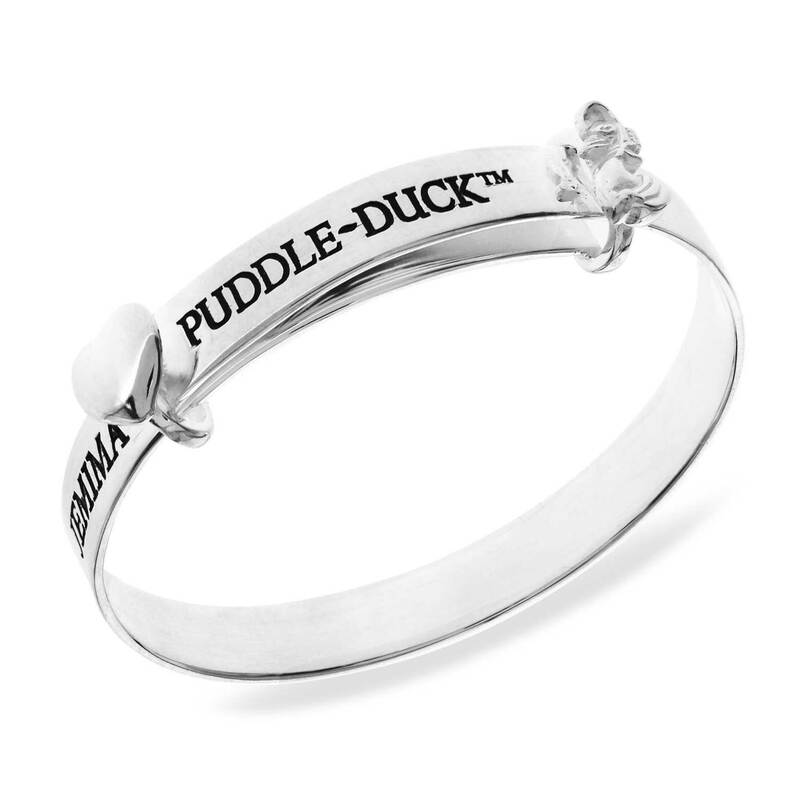 Beautiful Jemima Puddle-Duck Christening Bangle, this bangle is made of sterling silver. The bangle expands and has Jemima Puddle-Duck and a heart on the expanding part. 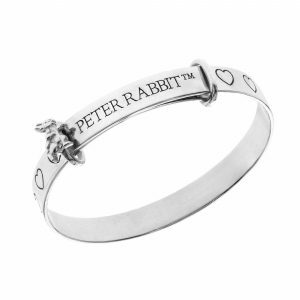 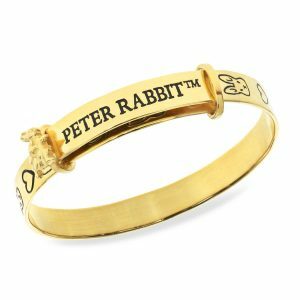 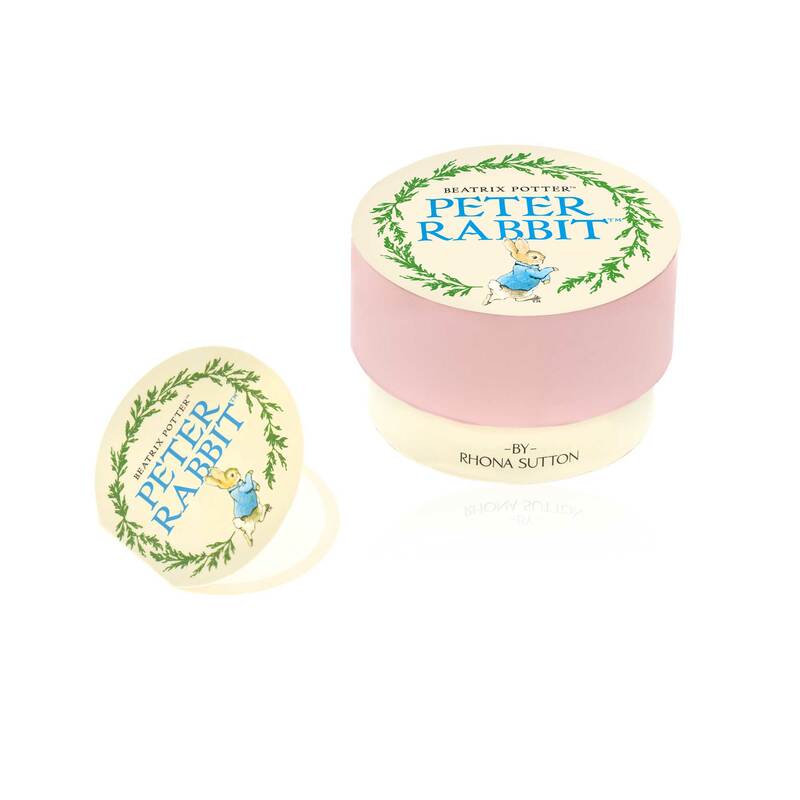 Presented in a Peter Rabbit gift box.